We’ve almost certainly done this before, but we think it’s safe to assume that most people who would’ve seen it have either died or moved on, so here it is again. “I think you’ll agree that this photo – taken in an arcade in Bournemouth – is proof that Sonic will put his name on any old rubbish these days. The arcade on the pier opposite also had a Sonic air-hockey table. I couldn’t take a photo though because some kids were playing on it and I didn’t want to be branded a pedo” – Matt. He doesn’t say in the listing if this LIFE DETRITUS FIRE SALE is enforced by a new wife or is simply a coming-of-age moment of clarity. Perhaps he needs the shelving for a more productive hobby, like collecting beer mats or mugs? The 1990s were the best, weren’t they? What has the 2000s given us so far? Simon Cowell and war games, plus an aching shoulder that won’t go away. Thanks. From reader “Al”. We remember buying a copy of ZZap! 64 in 1992, but this amazing CLASH of THINGS WE LIKE must’ve taken place way later than that. This has to be 1996. A Commodore fanzine was still going in 1996. That’s like UKR still going in 2011. And this was sent in from reader “BKK” to help “celebrate” the 19th anniversary of the release of Sonic The Hedgehog – “Published in the weekly all formats magazine Games-X, and compiled by Chart-Track forerunner, Gallup. 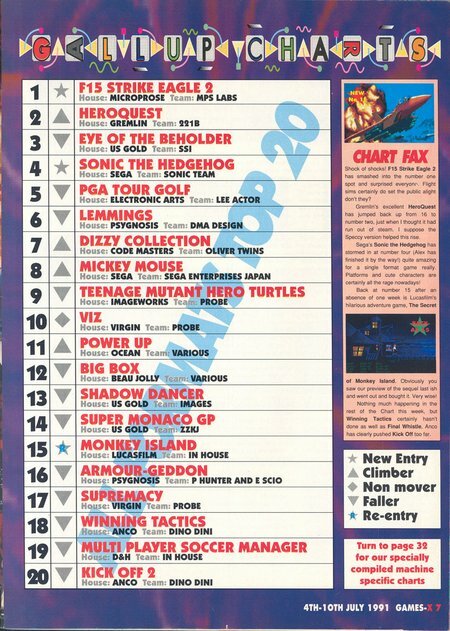 I believe this was the highest position a single format console game had charted in the UK up to that point”. It’s a fairly meaningless anniversary, simply the sort of thing the new-wave of SEGA blogs pretend is an important event so they’ve got something WACKY to write about today. We think. A new entry at #4 was no disgrace in 1991, as that was back when charts were allowed to move slowly and not everything was a failure if it didn’t fly in at #1. This country, etc etc. Good lord, we’ve just achieved our first toy-triggered erection since we cuddled the Cream plush goodbye for the last time. He is 15 inches tall, so would be a commanding presence on any middle-aged man’s mantelpiece. More stuff about it here. This one’s quite grim. Blame a broken society, not us. If only the general public had preferred the home conversion of Daytona USA to the home conversion of Ridge Racer. We think Guinness has got confused about what constitutes a “World Record” and is actually producing something more akin to a List of Features, in chronological order in which they first appeared in video games. Still no name tag. At least we now know she’s a Guinness employee and not a SEGA one. SEGA has won an award! But only for doing its JOB. And for doing its job 17 years ago. Still, it’s something to put on the wall where all those Sonic posters used to be. Can we have a certificate? Something like “Bravely not giving up in the face of overwhelming disinterest” would do. She’s wisely covering her name badge. How do you go about launching class action law suits for deliberately misleading corporate communications? What it means is, a couple of its games are being resurrected to no doubt underachieve on a new format. A man went to an outdoor marketing event to see some major brands in action. One of which was SEGA-related, as SEGA must still have a lot of these balloons leftover from when Sonic Adventure launched for the first time. 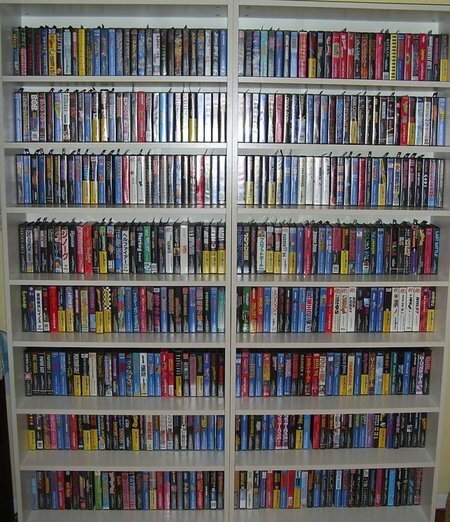 You’d think they would’ve perished in storage by now. “Above-average Sonic balloon enjoying Little Boots at Isle of Wight Festival. Note crease between head and body for increased blue hedgehog fidelity. Taken with inherited Sony DSC-P10 with dodgy battery” – Gav. From Ubisoft and Q Entertainment. Something that might be worth getting the cable that makes sound come out of our PC monitor as well as pictures. Just let us be able to play it without having to use our biceps.